Narrow Gauge Railway Carriages Exhibition at Narrow Gauge Railway Museum01654 710 472workExhibitionThe Narrow Gauge Railway Museum presents an exhibition telling the story of the of narrow gauge railway carriages. 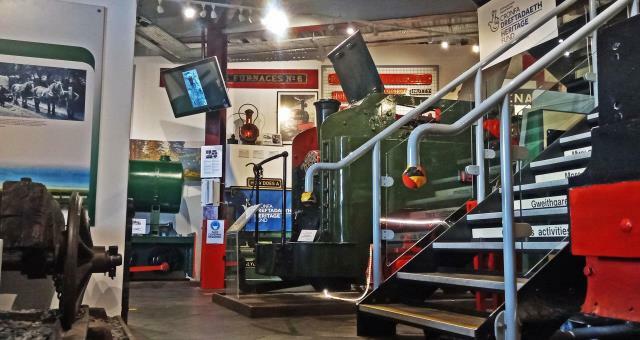 The Museum houses a collection of locomotives, wagons and smaller artefacts – but no carriages! This exhibition is intended in part to fill that gap; an introduction to a large subject. A timeline tells the story, of narrow gauge carriages in the British Isles from 1807 to 2012 – over 200 years of history. The displays cover carriages built in the early days of railways right through to the current day. Both photographs and models illustrate this story. This exhibitions runs alongside the Aberystwyth & Welsh Coast Railway 150 exhibition and is part of the Narrow Gauge Railway Museum. The Narrow Gauge Railway Museum presents an exhibition telling the story of the of narrow gauge railway carriages. We are a 300 yard walk from the National Rail Station at Tywyn. We are located at Tywyn Wharf station on the Talyllyn Railway. Tywyn is on the A493 road from Machynlleth to Dolgellau. Approaching from Aberdyfi on the main road Wharf Station is on the left. Coming from Dolgellau, go through the town centre past the National Rail Station for 300 yards and Tywyn Wharf station is on the right.